So I love Music…all types of music including kids. Living in Yarmouth we don’t have much variety of radio so I tend to listen to Cd’s in the car and when my daughter Sadie, who is 2 1/2, is with me we usually play her music. I sometimes find myself singing along to kids Cd’s even when she is not in the car…not that I am bragging about that…it just sometimes happens. This album was released this past summer and has received the highest praise. The songs are funny, unique, upbeat and will keep every audience member hopping along. King Pajama’s crew consist or Jason Blechman and his wife Jena who have a passion for children’s music. Along with Nina Zeitlin who added her talent and experience in educational music. This is a must have for all ages. 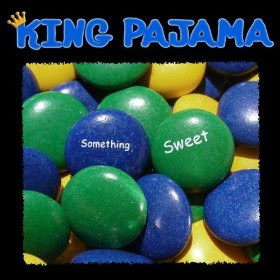 You can visit them on the web at www.kingpajama.com and on Facebook.